Simula Games was founded in 2014 by a married couple, Mehmet and Sümeyye. The journey that has begun as a hobby in college years has transformed into a new career. After Osman joined, Simula Games became a team of 3 developers. While in development, Simula Games have published Delivery Simulator to Windows Phone store in July 2014. Although 2014 version was primitive comparing to the current version, Delivery Simulator was picked as featured by Microsoft in several countries and it has received positive reviews from windows phone news websites. The game didn't receive any updates after 2014, but it has reached 3 million downloads until 2017. Simula Games team had a chance to showcase the game in game exhibitions: Gaming Istanbul in February-2016, E-Gameshow in June-2016 and once more Gaming Istanbul in February-2017 and Gamescom 2017 and 2018. Simula Games have decided in 2 name changes for the title. 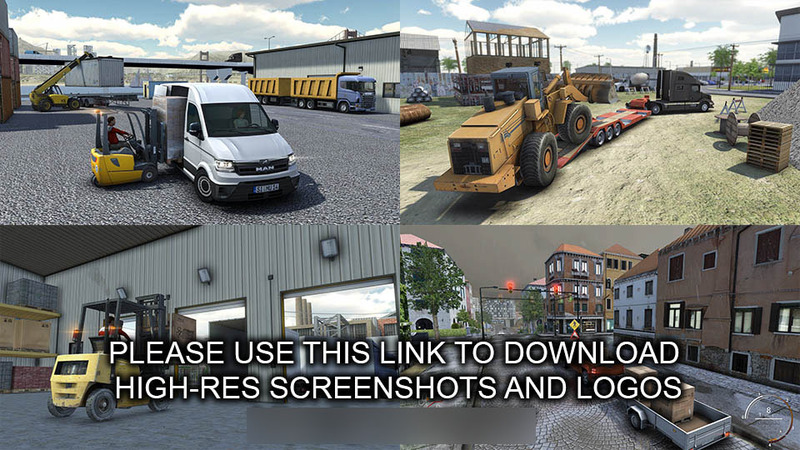 (Delivery Simulator > Transport Company Simulator > Truck & Logistics Simulator) Simula Games has signed a publishing deal for PC and Nintendo Switch version of Truck & Logistics Simulator with Aerosoft. There are far more images available for Simula Games, but these are the ones we felt would be most useful to you. If you have specific requests, please do contact us! "[Turkish,2017]Simulasyon Turk Video Review and Gameplay"
Truck & Logistics Simulator Press Page simulagames.com.